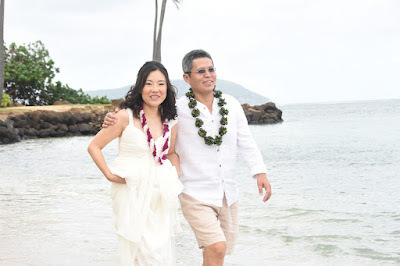 Guining & Rui visiting Honolulu from their homeland of China. 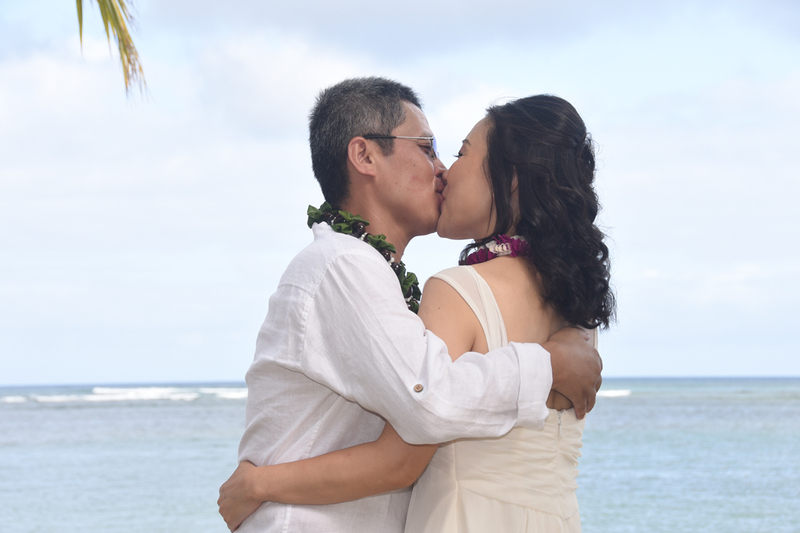 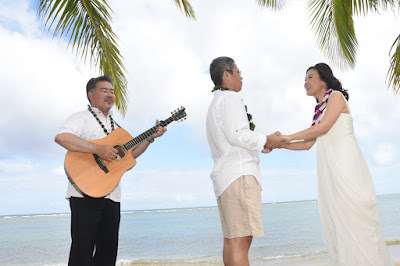 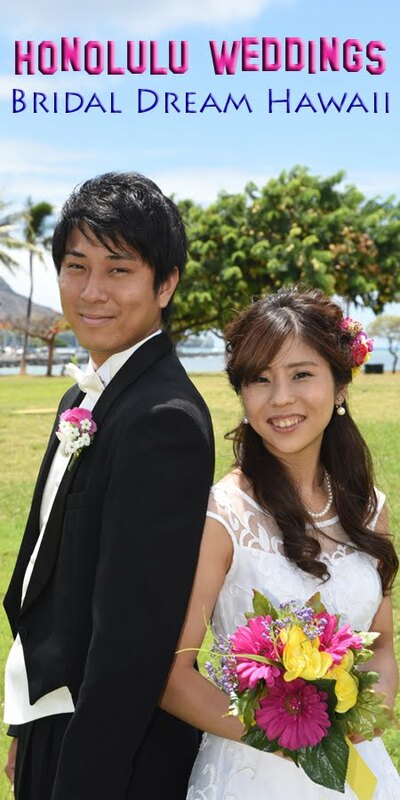 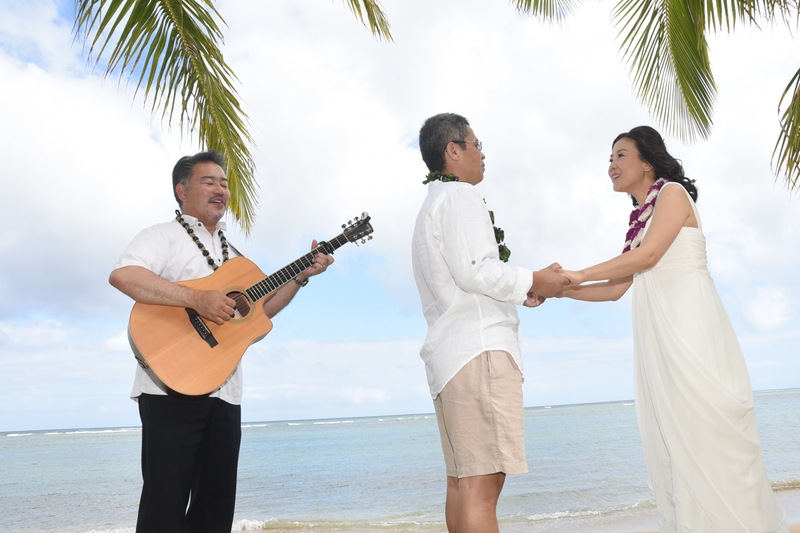 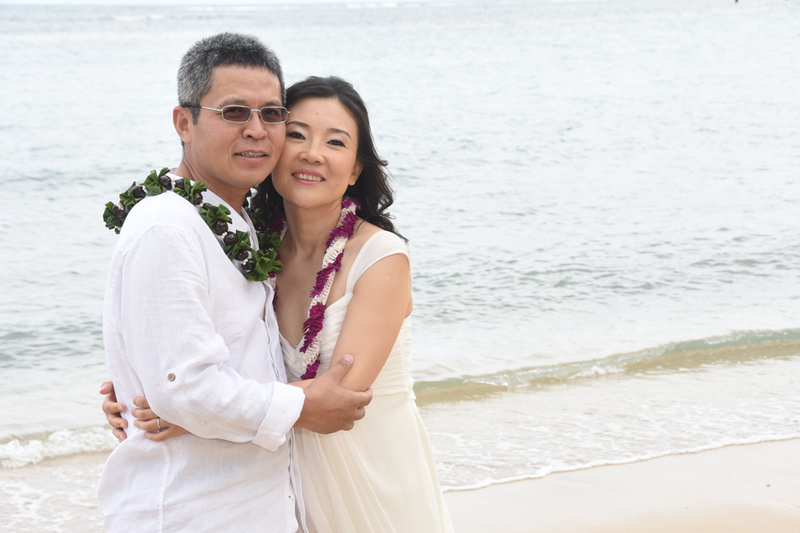 So happy you came to Bridal Dream Hawaii for your wedding vow renewal at beautiful Kahala Beach. 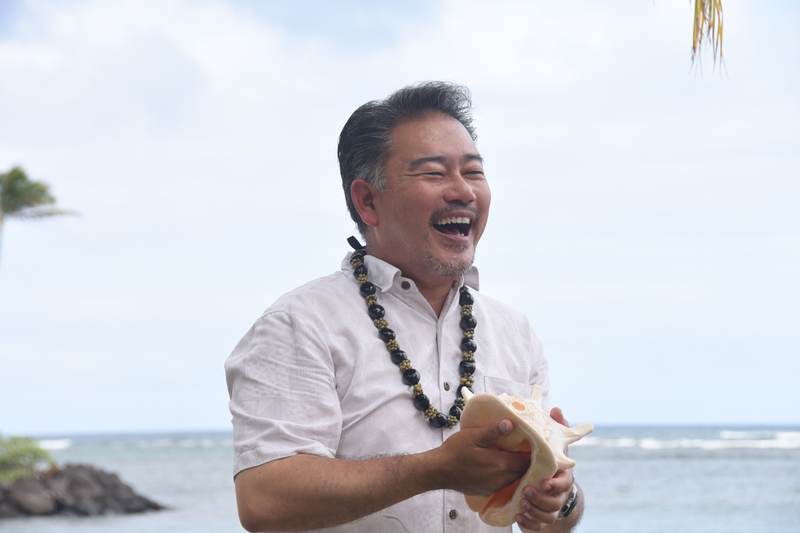 Minister John also plays guitar and blows the conch shell. 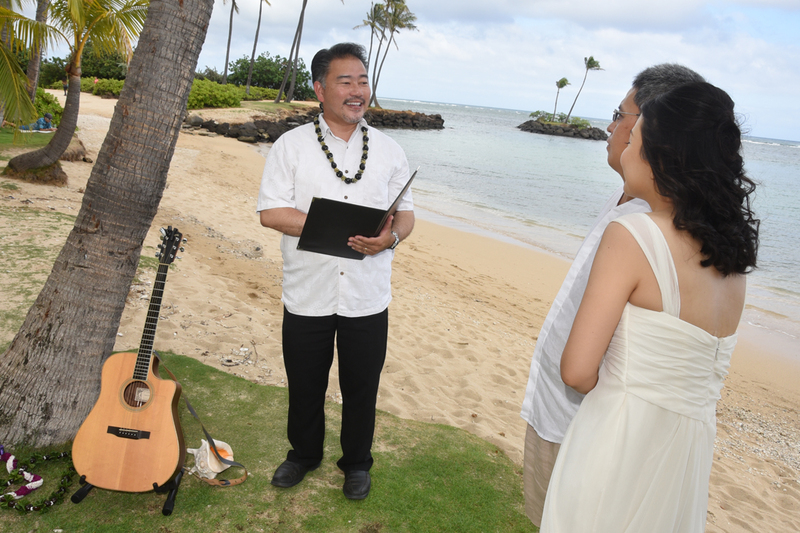 Man of many talents.